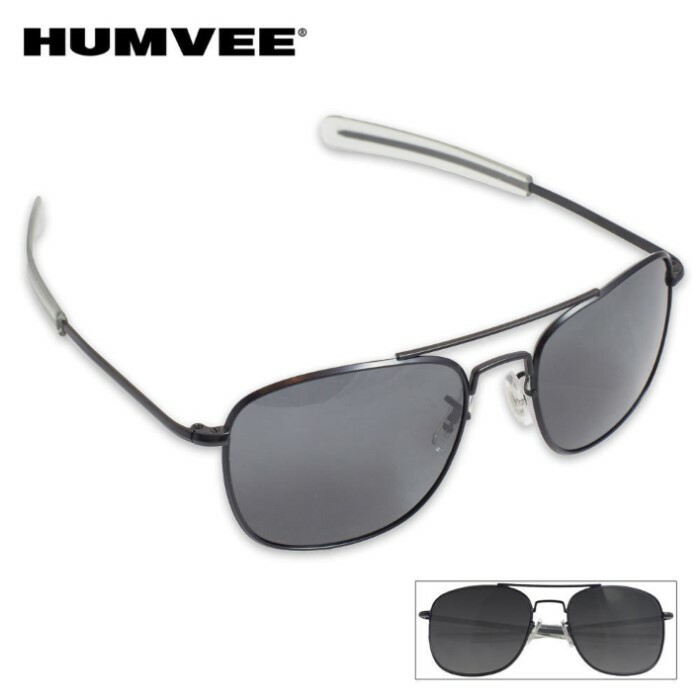 Humvee Military Sunglasses Black 52MM | BUDK.com - Knives & Swords At The Lowest Prices! These 52MM military sunglasses from Humvee are the real deal! They are made from high-nickel copper alloy with high-frequency welding for exceptional durability. They are strong, but they offer spring-loaded flexibility so they won't break easily. The lenses are polarized and provide UV protection, making these great for specialized use or everyday use. Size: 52MM.